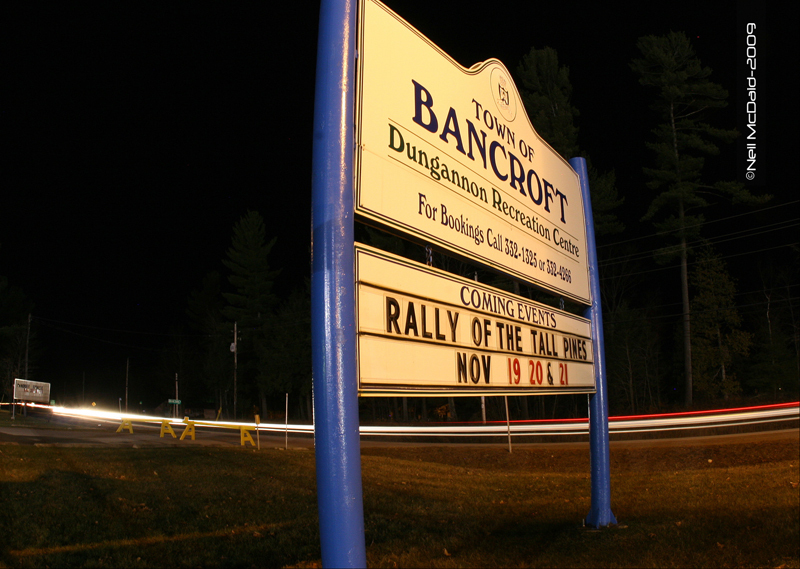 November 20, 2010, The Town of Bancroft in Ontario Canada will once again host the running of The Rally Of the Tall Pines. This will be the 40thedition of this historic rally. It is also the final and deciding round of the 2010 Canadian Rally Championship, with the several crews still in contention for the title it’s looking like a classic showdown between the Tall Pines. 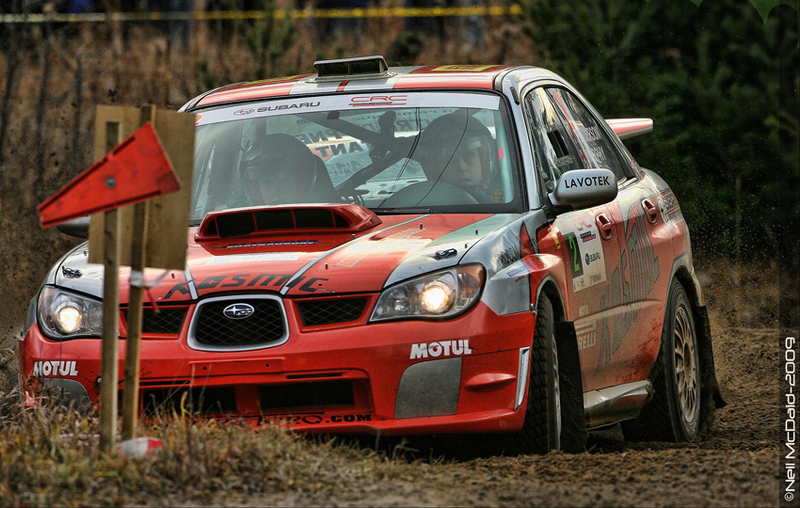 A total of 47 drivers and co-drivers are currently listed for the Saturday morning start of the grueling one day Rally. Leading the charge by running first on the road will be the current CRC point leaders, Antoine L’Estage with co-driver Nathalie Richard. 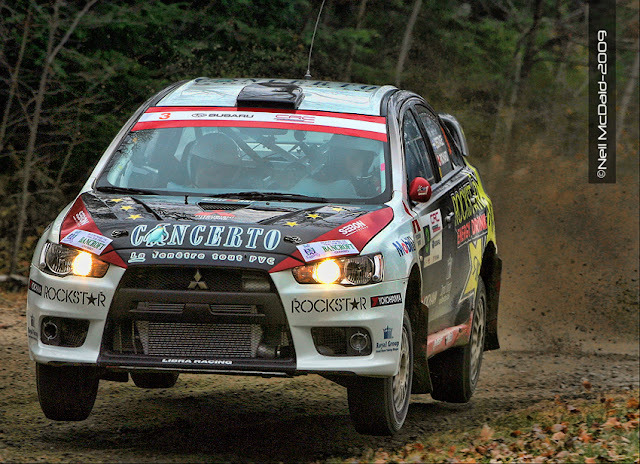 They will be behind the wheel of their RockStar Energy Drink sponsored Mitsubishi Evo X, the very same car in which they claimed both the 2010 Rally America Championship and the North American Championship titles. Craig Henderson who is currently listed as second on the road will find himself sandwiched between Antoine and Pat who is starting third on the road. Bruno Carre will start forth and rounding out the top five will be the one they call “crazy Leo” Leonid Urlichich. 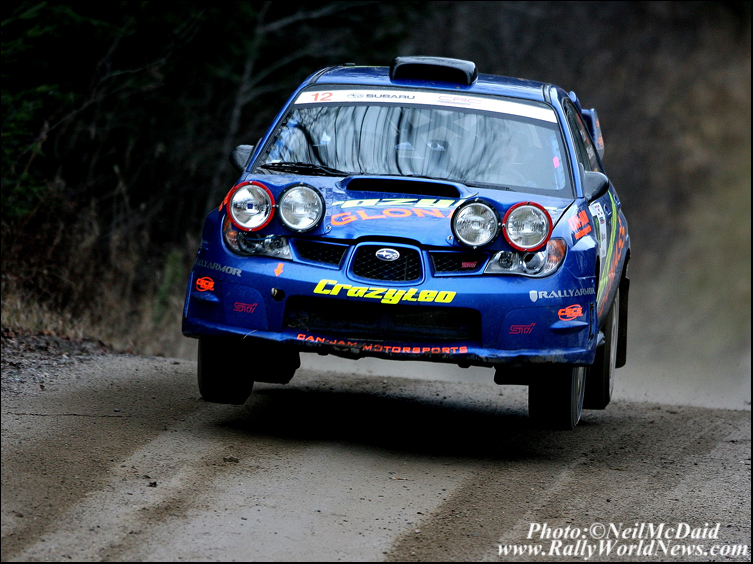 Tall Pines Rally has been notorious down through the years for very unpredictable weather conditions. Currently there is very lite snow in the area, but it’s not expected to accumulate to very much of anything, based on the forecast for Saturday it’s looking like this will be a damp gravel test. 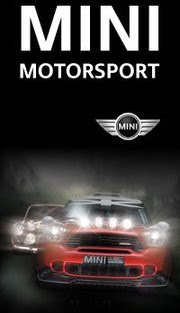 Check in on Saturday for an update with a full report and images next week.